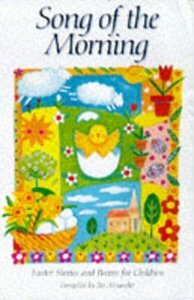 This varied selection of stories and poetry is ideal for use at home or in the classroom, and is designed to reflect the many moods of Easter. The book can also be enjoyed at other times of the year as the content is wider than Easter itself. About "Song of the Morning"
David Alexander (BA, Oxford University) and Pat Alexander (BA, Bristol University) are the founders of Lion Publishing, where for 23 years David was director and chair and Pat was editorial director for adult, children's, and educational lists. Together they produced the original Lion Handbook to the Bible.